QuickBooks® software can turn your small business into a lean, mean, money-making machine! This state-of-the-art program allows you to quickly and easily organize all billings and spending, and creates customized reports to help you keep track of your money. By monitoring inflow and outflow throughout the year, QuickBooks® will make tax time a breeze! 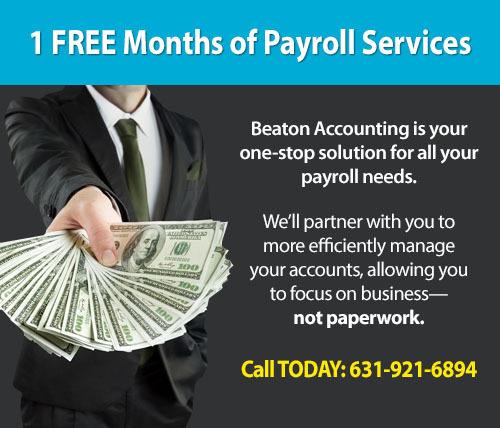 Contact Beaton Accounting to find out what QuickBooks® can do for you! What does QuickBooks® have to do with Beaton Accounting? Payroll – Alleviating fear of tax penalties and filing worries by paying all payroll taxes through QuickBooks® E-Pay and performing weekly payroll services. Accounts Payable – Inputting all vendor bills and ensuring that items are coded to the proper general ledger account, preventing vendors from receiving duplicate checks. Accounts Receivable – Reviewing and analyzing all customer accounts and determining how to collect from past due customers. Profit & Loss Analysis – Reviewing income versus loss in order to determine which jobs or departments are earning or costing your business money — long before tax season arrives! Comment directly on reports – Whenever you want to make a note on an income or expense, you can now do this directly on reports. No more lengthy emails with questions and attached reports; instead the comments are stored on the saved report that can be emailed. 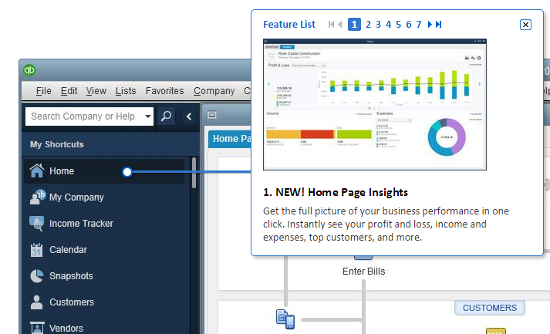 Insights Dashboard – Get a comprehensive and easy-to-understand overview of your business right on the Home page. Time and Expense on Income Tracker – New Time and Expenses display in the Income Tracker helps take the guesswork out of project time that is remaining to be billed. Report Redesign – The new modern design includes horizontal lines, background shading, minimum width and vertical grid lines. These improvements make it so much easier to scan a large report, especially when viewed on a computer monitor. Field Search Boxes on Report Customization – Modifying reports in QuickBooks 2015 is made easier with the addition of the Search boxes and listing the data fields alphabetically. Send Multiple Reports in a Single Email – The reports included in Process Multiple Reports are added as multiple attachments to a single email. Notes Redesign – For companies that keep many detailed notes in the lists: Customers, Vendors, Employees, it was difficult to single out important notes. Now, a specific note can be “pinned” to display in the header information of the Customer, Job, Vendor, or Employee record. Flag on Billable Time and Costs – This improvement takes the guesswork out of billing for Time and Expenses by providing the user with flags to show that there are costs to be billed. Why should I use a ProAdvisor? How do I choose I ProAdvisor? Location, location, location! QuickBooks® ProAdvisors are available all over the country. Choose an expert in your area by locating one on the ProAdvisor website. What advantage is there in using a ProAdvisor versus a CPA or some other accountant? ProAdvisors have industry-specific knowledge of QuickBooks® to ensure your bookkeeping is spot-on. Plus, ProAdvisors typically charge less than CPAs. That means you get better service for a lower cost. How long do I need a ProAdvisor? That’s up to you. ProAdvisors can step in for a one-time consultation, or can be retained on an ongoing basis as long as you need. Whatever accounting solution you need, ProAdvisors can provide it to you. Will using a QuickBooks® ProAdvisor help my business grow? 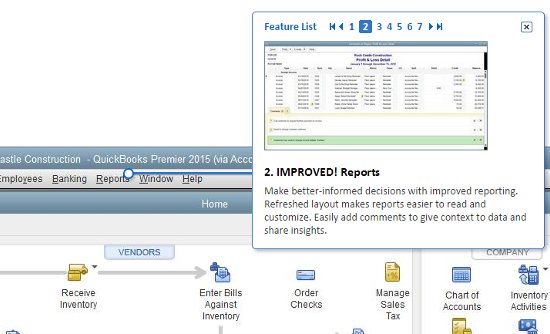 ProAdvisors are geared to fully utilize the features of QuickBooks®. From the various reports that help analyze a business to the latest upgrades, the client can be assured of the utmost care and professionalism. By getting a solid handle on your company’s financial pulse, you can operate more efficiently and focus on building your business instead of worrying about maintaining your records. 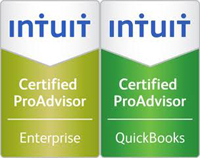 Learn more about QuickBooks® Certified ProAdvisors!